What are the SBS 3D, Anaglyph 3D and Top/Bottom 3D? With the modern technology growing rapidly, we are easier to access the 3D files available. Watching 3D films in cinema, downloading 3D videos from YouTube, playing 3D movies via VR handsets, etc. And when dealing with such 3D video files, chances are you have heard about some terms like Side-by-Side 3D, Anaglyph 3D and Top/Bottom 3D. Are you get a bit confused? What're the differences between them? Don't worry! This article aims to bring you a comprehensive understanding of such three 3D modes, so that you can have a better option for different purposes. 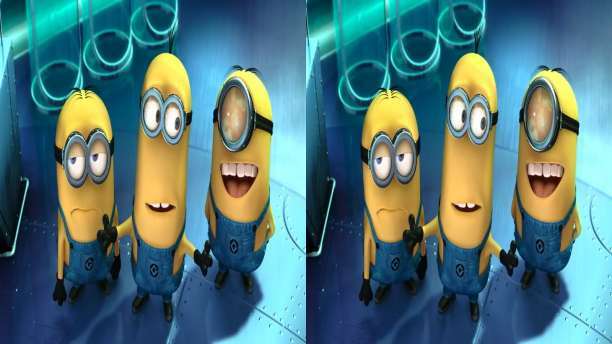 Side-by-Side 3D, also known as SBS 3D is intended for both right and left eyes with two halves on the right and left. How Side-by-Side 3D works? 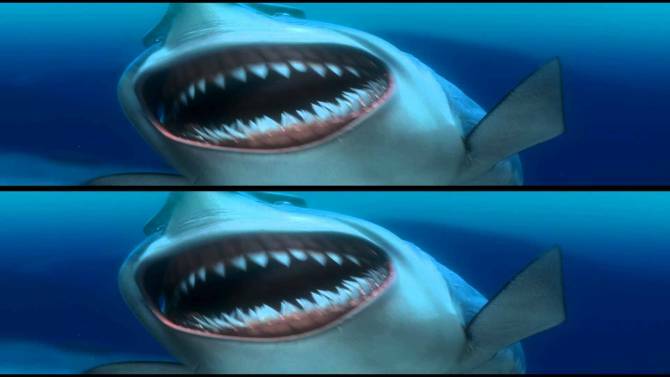 The principle for SBS 3D is that the entire 1080p or 720p content for the left eye and the right eye scaled down horizontally to fit the left side and the right side of the frame respectively. Side-by-Side 3D is usually used for cable or air television, and most TVs and some projectors are using this kind of 3D technology to achieve better perspective. Though the output quality for Side-by-Side 3D is not so good, it is quite a popular way for you to backup a 3D Blu-ray disc to a smaller size to watch on 3D TV, Virtual Reality Devices or media streaming box, etc. Anaglyph 3D refers to a type of stereo 3D image and this kind of 3D technology uses filters of different colors, typically red and cyan. The optical 3D effect can be achieved when viewed with a pair of red-cyan glasses. The red filter enables the left eye to view the red part of the anaglyph image, and the cyan filter allows the right eye to see the blue or green part of the anaglyph image. Usually glasses with red-blue lenses or with red-green lens shall be worn to enjoy an anaglyph 3D video. Anaglyph 3D has a wide range of applications in the fields of science, design, film and art. 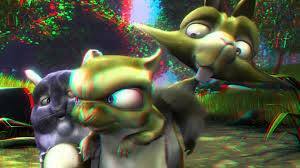 There are movies adopting anaglyph 3D available on the market, and anaglyph 3D HDTV programs for you to enjoy 3D videos at home. To get a 2D/3D to 3D video converter, Brorsoft Video Converter Ultimate can rip any 2D and 3D movie sources to 3D MKV, MP4, MOV, WMV and AVI and even DVD, Blu-ray video formats with three types of 3D effects: Side-by-Side 3D, Anaglyph 3D and Top-Bottom 3D. This excellent gadget also allows you convert any videos for playback on popular media devices including iPad/iPhone/iPod, Apple TV, Galaxy Tab, etc. You just need to select the device as the output format and you can simply convert your videos to fit your device without further settings. The converting speed and output quality are both outstanding, you are also offered the freedom to customize your generated video files as you wish.